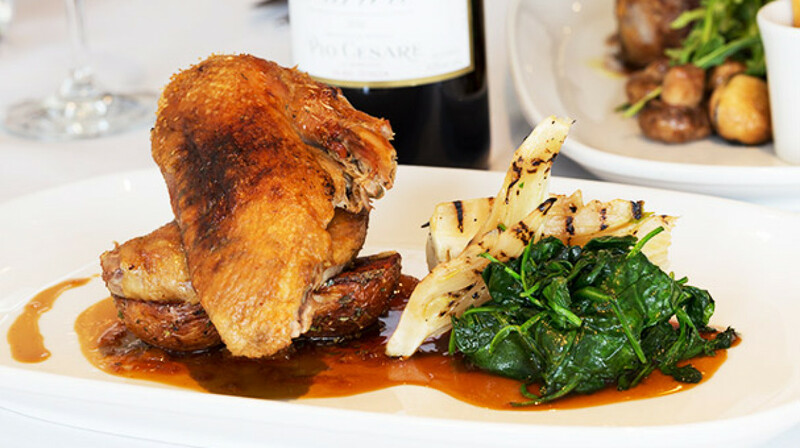 Built on over 30 years of tradition in food and hospitality, il Duca restaurant has a rich history. 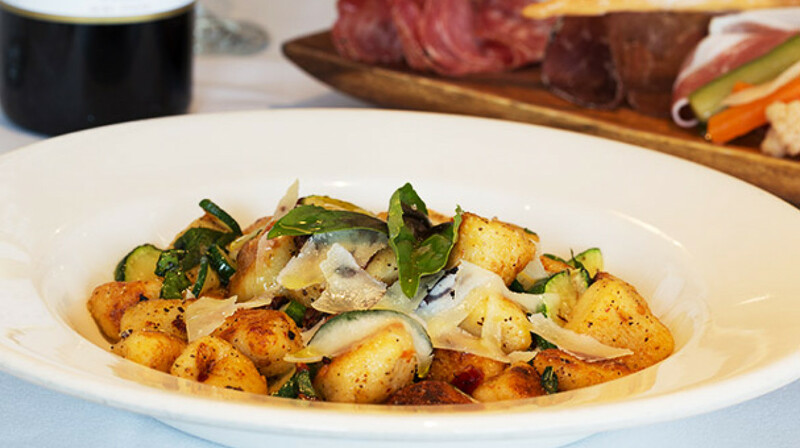 Situated close to Melbourne’s throbbing CBD, in the cultural and sporting precinct, the il Duca family seeks to pay homage to it's Southern Italian heritage. The restaurant offers modern Italian food at its very best. 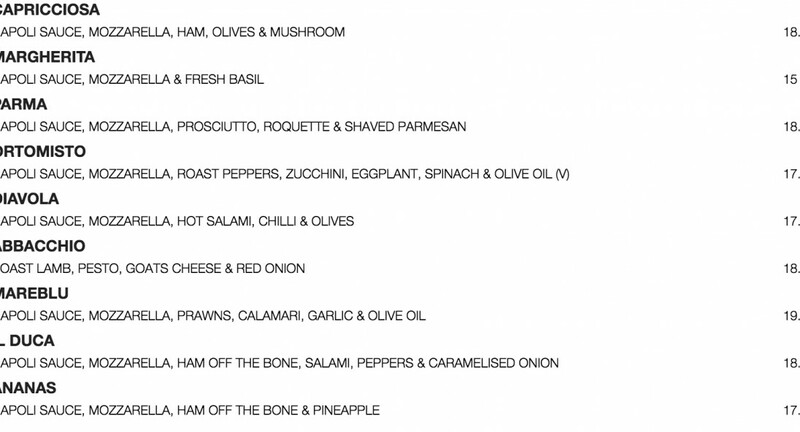 Delicious pasta, antipasti and pizzas feature on the menu which is seasonally updated to offer food that’s made with the freshest ingredients. 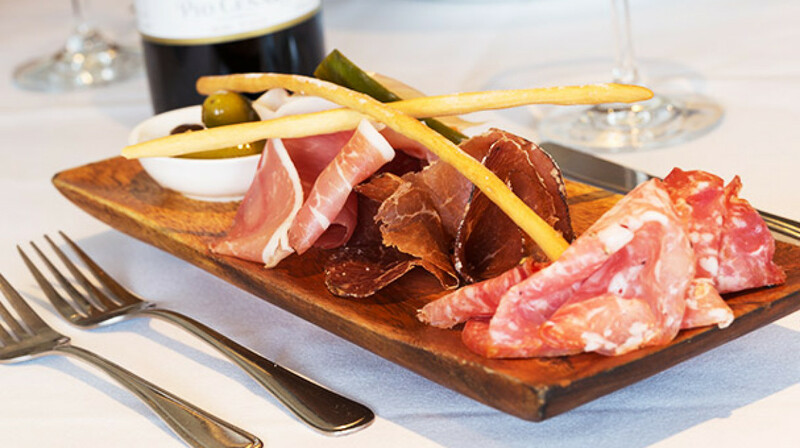 Coupled with a sophisticated wine list, you’re sure to enjoy an excellent pre-event meal at il Duca. 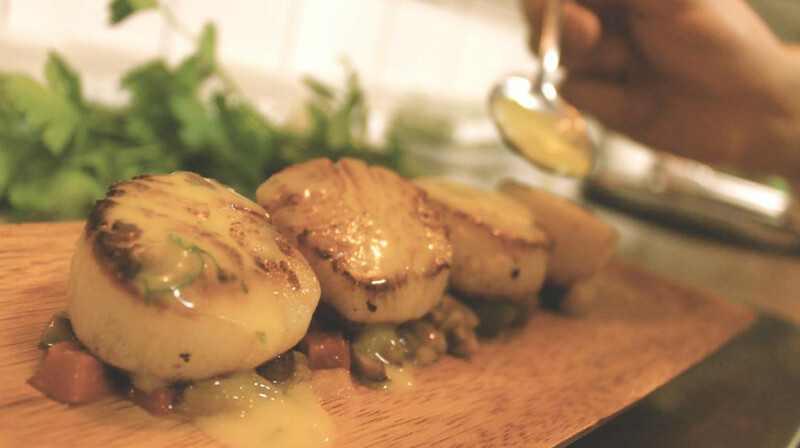 The warm and authentic atmosphere is a hit with guests and the restaurant has been awarded a TripAdvisor certificate of excellence in both 2015 and 2016. Fantastic service and food on what was a busy night before a football game. Excellent, attentive service and delicious food. Very happy we tried and will come again! After being told what the specials are and served drinks, we were ignored while the table next to us had their order taken and were served their mains before we even got to choose ours. We also arrived at the restaurant earlier than they did. Despite this once we did get our starters then our mains, the service was great and the food was delicious! 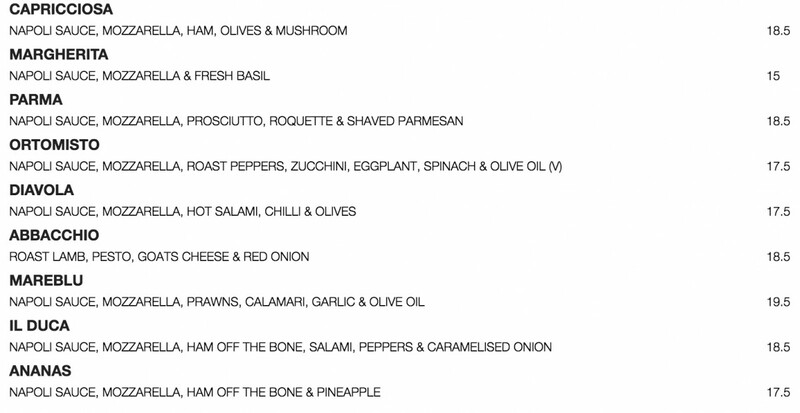 We have a nice pizza to start with followed by twice roasted duck, lamb loin and eye fillet steak. My lamb loin was perfect, nicely done. My wife said that the duck was a bit dry. My son's eye fillet was good as well. We all liked the pizza. For a desert we tried the legato and poached pear. They were both nice. Overall good value, good food. Delicious food, good wine. We live in the country and this was a great place to dine prior to the show we were going to that night. Would definitely visit again. Ideally located near the MCG and other sporting/ entertainment venues. 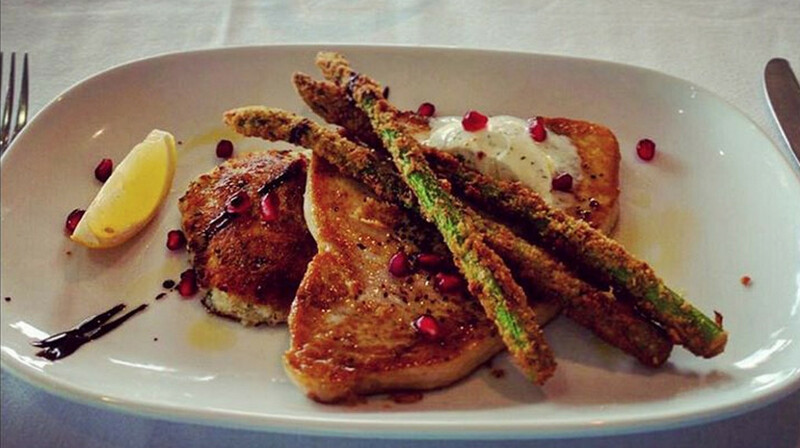 Il Duca offers excellent food and service and a reasonably priced wine list . Service is quick, friendly and efficient and allowed us to get to our concert without hurrying. First Table is great and will definitely look at using it again. Dining at Il Duca was a lovely experience. The staff were really welcoming & attentive & the food was delicious. I had the steak, which was really good & my partner chose the daily special, osso bucco which just melted in your mouth. Delicious! I would definitely recommend this restaurant. We will be returning. Soon! Many thanks to all the staff at il Duca for making our dining experience so pleasurable. Attentive staff, delicious food & beautiful presentation. A very pleasant dinner experience! We had a lovely time and enjoyed all. Our very first "first table" experience at il duca - excellent food & service and we were warmly welcomed at 6pm. We fined with our son & his partner "first table devotees" from Sydney who introduced us to the concept. 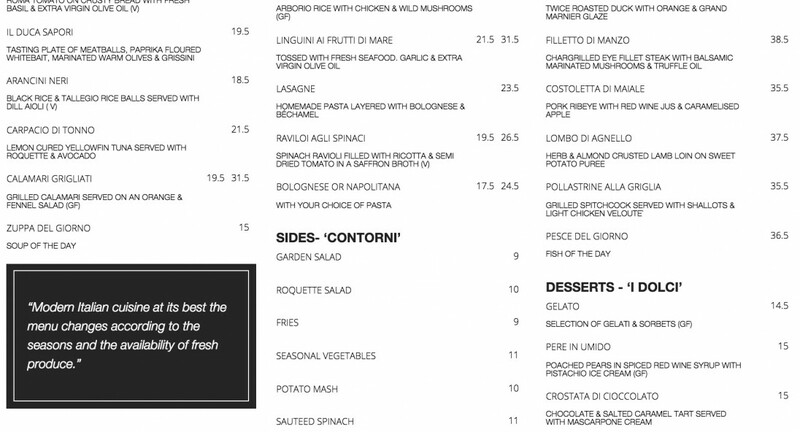 Il duca menu had something for each of our individual needs from seafood to steak and pasta with a pizza on the side! Generous servings didn't allow us to enjoy dessert but we will definitely visit again - we highly recommend this restaurant! Food was quite lacklustre, and not befitting a restaurant in Melbourne. Ordered ravioli, spatchcock and pizza - everything tasted just OK, but definitely could have used more seasoning and more love. Beautiful food and very accommodating and friendly staff would definitely recommend. Food was good and the portion size was very generous. The staff were friendly and accommodating to our requests. A bit awkward being the only people in the restaurant that night but food was nice, we would recommend the lasagna. 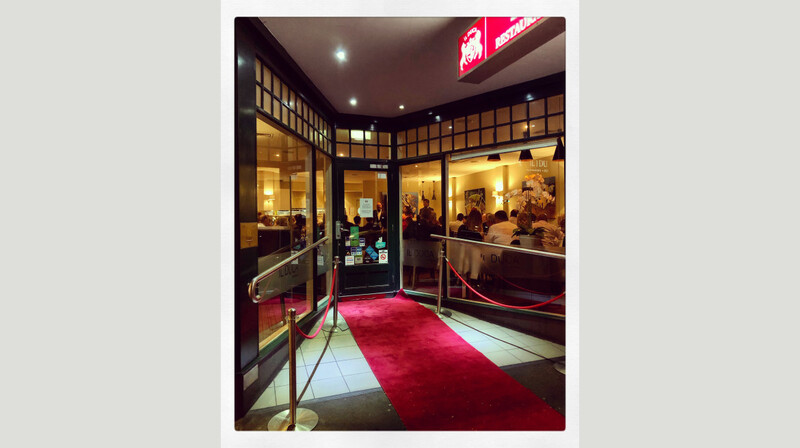 Classic Italian cuisine; friendly neighbourhood restaurant, busy and bubbling; we enjoyed our visit and will be back again soon. We had such a lovely dinner at Il Duca, it's a real gem & we'll be back for sure. We had 2 young kids in tow and we were all made to feel special. Special attention was paid to the kids needs which was unexpected for a nice restaurant which caters predominantly to adults. The food was delicious and I was really impressed with the wine list - great selection of reds by the glass and they were also reasonably priced. Thanks to all the staff who looked after us for our first first table experience! How have we not noticed this place before? We had such a lovely dinner - the crumbed lambs brain entree was so creamy and delicious, and we also loved the Linguine ai Frutti di Mare and ox tail mains - super delicious! Molto bene! Gracias! We really enjoyed our visit to Il Duca. The service was efficient and friendly. The menu selection was large and the food was really tasty. We would return. The mains were delicious - we had the lamb and ham hock. The ham hock (which was a special) was so good, I would suggest it be placed on the permanent menu. Service was excellent. Have not been to Il Duca in years and was happy to see that food was still very good. Pleasant experience. So happy we tried Il Duca. The food was amazing. We shared an entree and both had the veal for a main. So many beautiful flavours with a hint of chilli and lemon. Highly recommend. The wait staff were also friendly and attentive. Totally won over by this restaurant. After enjoying an exciting game at the MCG, we strolled into Il Duca to a warm and friendly welcome. The restaurant looked classy and inviting. 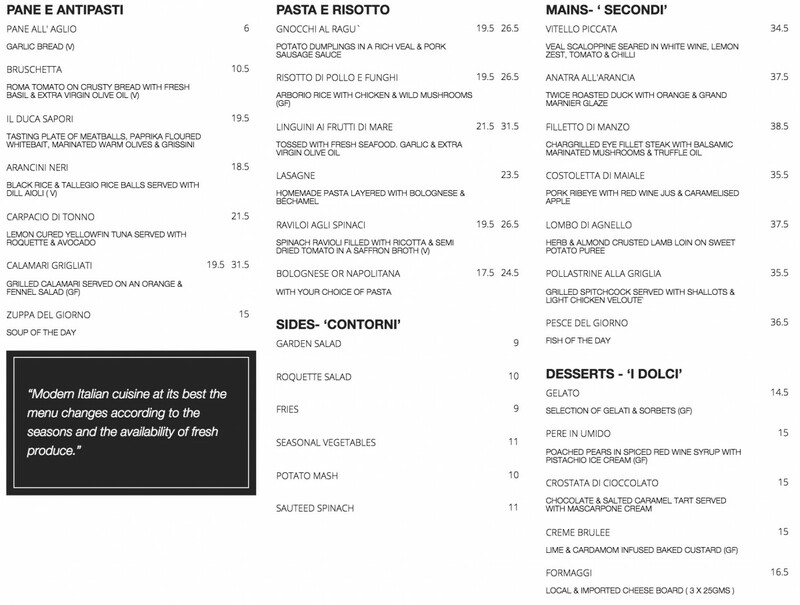 We found the menu offered something for everyone and every occasion, from delicious house made pasta and tasty pizzas, to a delightful variety of dishes to choose from for an interesting a la carte dining experience. 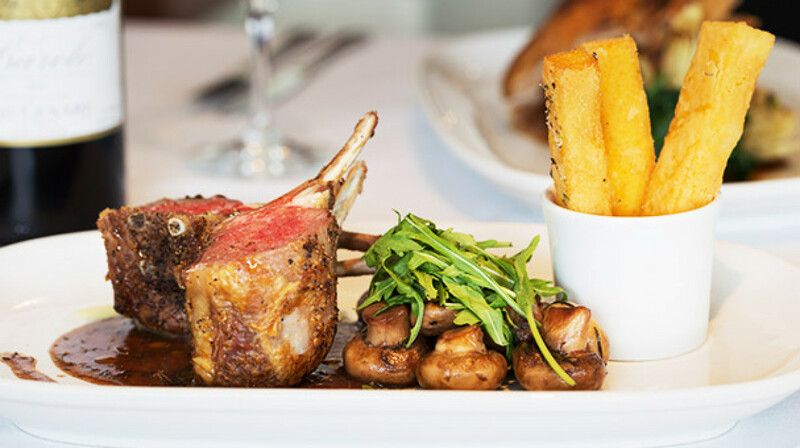 I particularly enjoyed the ' Roasted rack of lamb served with house cut chips and roquette, fig and Gorgonzola salad' , which was cooked to perfection. 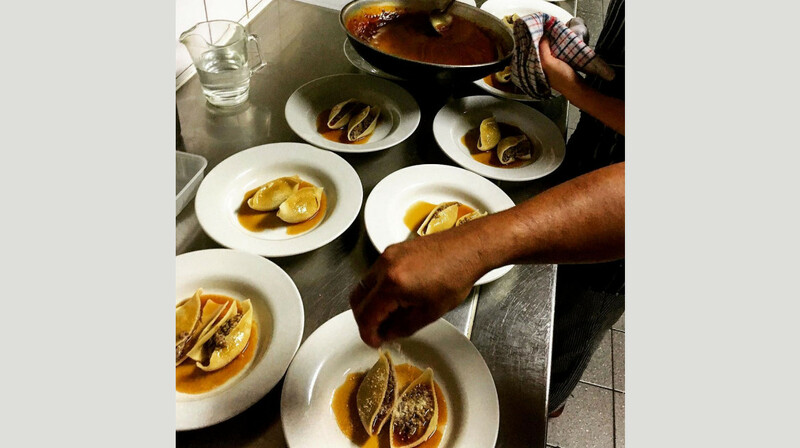 The staff at Il Duca were most helpful and attentive without being intrusive. We thoroughly enjoyed the evening and look forward to returning to Il Duca in the near future. Had a meal with mates before the football. Cold and windy outside lasagna just hit the spot. Service fabulous and they were very mindful we were off to the game. Service was really great, our waiter was friendly but definitely not intrusive. The food at il duca is simple Italian done really well. Will definitely be going back. Great first experience with First Table!! The gentleman waiter who served us is fantastic! On arrival, we were offered a few choices of places for us to sit and were treated like any other customer (not one receiving a discounted rate). We ordered the antipasto platter, lasagna and veal scallopini. Very saucy Lasagna; just like we love it. We also ordered a salad and our extremely helpful waiter allowed us to combine two to create our own, as we couldn't decide between the two. We will definitely be back again soon. Thank you! Our waiter was lovely as were the other waiters in the restaurant. All very attentive but unintrusive. The food was well presented and tasted great. Will definitely go back to this restaurant. Thanks everyone at il Duca for a great night out. Lovely night out with the family. Enjoyable and relaxing. Great waiter - funny and friendly.